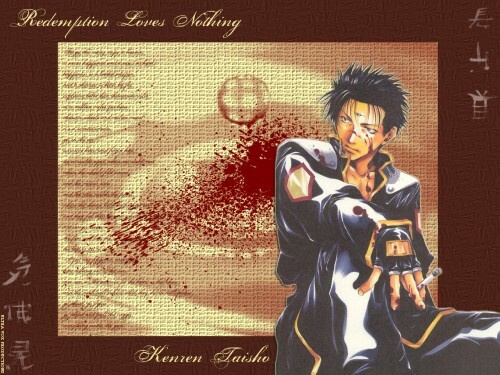 The 'Redemption Loves Nothing' Digital Art Collection strikes again and this time Kenren Taisho (aka Sha Gojyo) takes the lead in this subtle yet disturbing piece. Featuring classic original artwork by the marvellously talented Kazuya Minekura, this third art work sees Kenren in a state of respite, however the battlefield never far from his fingertips, tell tale blood splatters upon his regal hands, delicate features and cigarette can only whisper of brutal reality. Saiyuki's model bad boy water sprite rests right here! I love Sha Gojyo !!! XD He's soooo HOTT !!! Thanks for posting this up . Great job on it . 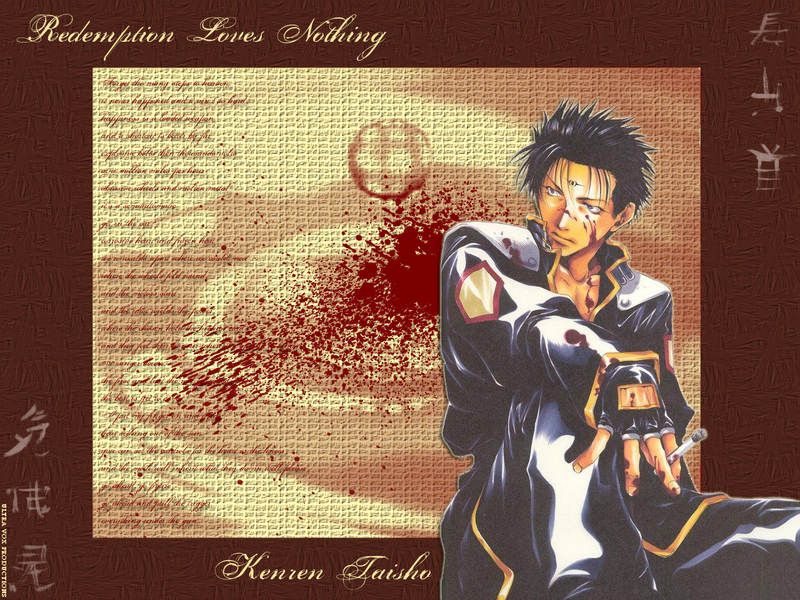 You make a saiyuki wallpaper series with this bg :)? ultimate coolness..!! you rock UV san!! why isn't gojyo as hot as his former self? kenren looks so much better. Anyway, love this!